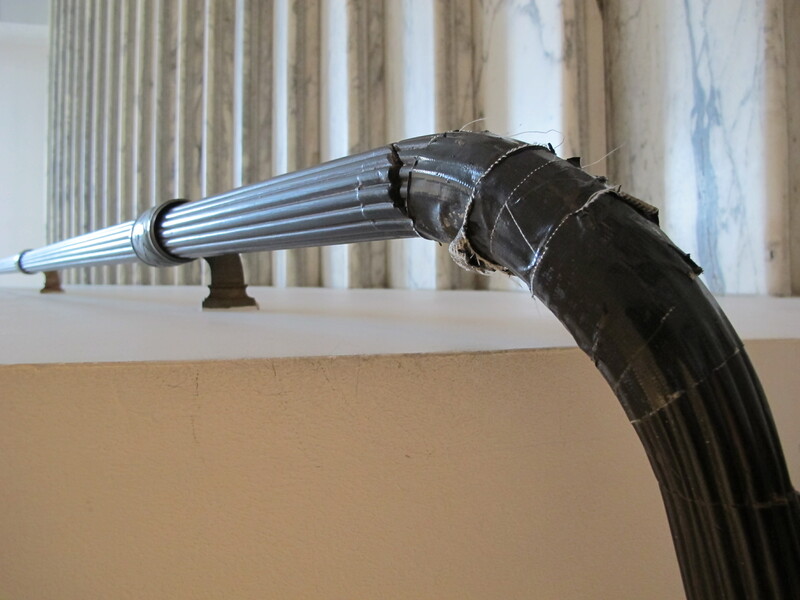 The above picture, taken this week shows the repaired railing in the staircase of the MusÃ©e d’Art ancien. 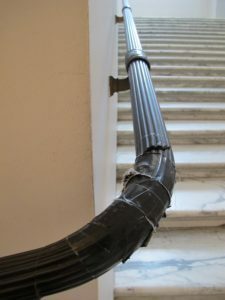 Two years ago, when the museum was still hosting both old and new art; I photographed the same railing. 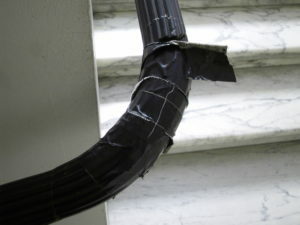 The gaffer tape seems to be holding pretty well, see the picture below, and this post that contains more pictures.